4. Don’t try to game the system. Just make sure you have great content and market it normally. No need to worry about things like N&N or review snapping. 5. Once you have a workflow that works for you, stick to it. 6. Have Fun. If it’s a struggle, you won’t want to stick to it. 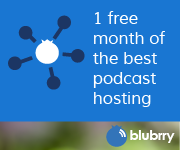 To use the new blubrry player, you have to be a blubrry hosting customer (my promo code is HELPDESK for a free month). For the time being, to use the player you have to do it as an embed. Post your episode as normal. In there you will see “get embed” by the episode you want the player for. Paste that link into your site. If you are using PowerPress, enable the media embed box in the basic settings. You will then have a box to paste the embed code in your podcast episode box in WordPress posts. I will be hosting Geek News Central on Friday April 15th. Come check me out doing someone else’s show 🙂 Should be a good time! 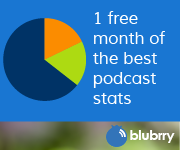 I’m starting a listener slack group. It’s going to be kind of a free (yes free) mastermind group. I’m going to limit the number of people in it to 10 (plus me) for now. If you would be interested in joining, email me PodcastHelpDesk@gmail.com and I will send you an invite. It will be a way to interact with me and fellow podcasters that listen to my show. Should be an interesting experiment.